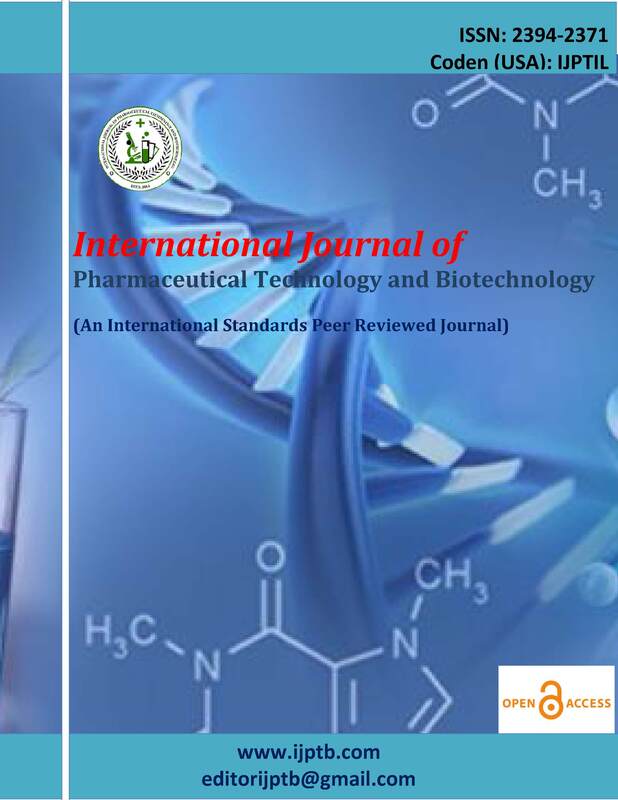 International Journal of Pharmaceutical Technology and Biotechnology (IJPTB) is an international open access peer reviewed online journal published quarterly (March, June, September and December) in every year. The aim of International Journal of Pharmaceutical Technology and Biotechnology (IJPTB) is to promote the research activity of researcher by publication of original and quality research papers, short communications, reviews rapidly without much delay from the relevant branches of pharmaceutical sciences, biotechnology and bio sciences which includes but not limited to Pharmacy, Pharmaceutics, Pharmacology, Pharmacognosy, Medicinal chemistry, Novel drug delivery systems, Nano-technology, Biopharmaceuticals, Natural products, Green chemistry, Pharmaceutical biotechnology, Industrial biotechnology, Bioinformatics, Cosmetics and Nutraceuticals, Fermentation technology, Downstream processing, Purification, enzymes, microbiology, biotechnology, bio-nano technology , biotransformations, biochemical engineering, bio surfactants, cell biology etc. Submissions of quality reviews and mini-reviews, describing recent trends and developments from the domains of pharmaceutical sciences and bio-technology will be highly encouraged.